Cichlids are one of the largest families of freshwater fishes and they are prone to developing several aquarium fish diseases. Read more to learn about what those diseases are and how to treat them. If you are going to cultivate a freshwater aquarium it is inevitable that you will have to deal with aquarium fish disease at one point or another. The truth of the matter is that aquarium fish can be exposed to pathogens in a variety of ways and there is a good chance that at some point, they will get sick. The best thing you can do is keep the water quality in your tank high and do your best to learn about the diseases your fish might be exposed to so you can treat them effectively. 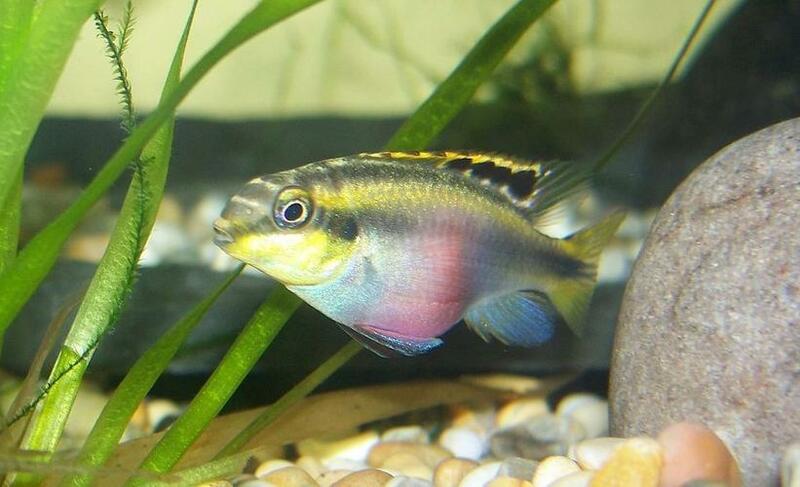 There are a variety of freshwater aquarium fish diseases to look out for but if you plan to keep cichlids there are a few in particular that you should be aware of. Cichlids are particularly susceptible to several aquarium fish diseases so if you learn about how to treat and prevent them now, you and your fish will be better off later. As suggested by the name, swim bladder disease affects the part of the cichlid known as the swim bladder. The swim bladder is an abdominal sac lined with epithelium that helps the fish stay afloat. When a cichlid is affected by swim bladder disease, it has difficulty staying submerged. There are a variety of potential causes for this disease – external trauma via physical injury can potentially affect the swim bladder as can certain secondary diseases such as cancer and tuberculosis. Another common cause for this condition is dietary – fish suffering from poor nutrition or constipation are more likely to develop swim bladder disease. In order to treat this condition it is important to remedy the underlying cause of the problem. In the case of poor diet, feed the fish a varied diet and offer high-fiber foods like peas and spinach to relieve constipation. 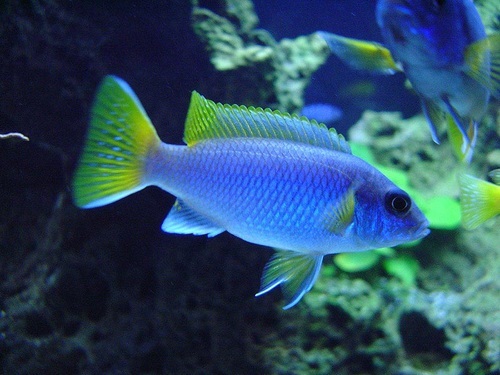 Malawi bloat is a type of aquarium fish disease that is most common among African cichlids. This disease manifests in the form of symptoms such as swelling in the abdomen, rapid breathing, loss of appetite, discolored feces and lolling at the bottom of the tank. In addition to these symptoms, Malawi bloat can also lead to liver and kidney damage if left untreated. Once the disease progresses to this point, it is typically fatal within three days. Unfortunately, the cause of this disease is highly disputed – some maintain that it is caused by a protozoan that lives in the intestines of cichlids. When the water quality in the tank declines and the fish becomes stressed, the protozoans reproduce and begin to cause problems. The first step in treating this disease is to perform a large water change in the tank and to dose the tank with Metronidazole. When treating the tank with medication you will need to remove the activated carbon from your tank filter. Tuberculosis is a highly contagious and, unfortunately, frequently fatal aquarium fish disease. This disease is also one of the few diseases that can be transmitted to humans through contact with open wounds or sores. The symptoms of this disease typically include loss of appetite, frayed fins, white blotches on the skin and a sunken stomach. Affected fish may also display behavioral changes, appearing listless and or lethargic. As soon as you suspect that one of your cichlids has contracted this disease, remove all other fish to a hospital tank and treat the tank with melafix. You will also need to thoroughly clean and disinfect the original tank before you add the fish back to the tank. Cotton wool disease is a fairly easy condition to diagnose because it manifests in the form of fuzzy white growths on the head, fins and scales of infected cichlids. This disease is caused by a fungus that is naturally found in the aquarium but only becomes a problem in cases of poor water quality. When uneaten fish food and other organic debris accumulates in the tank and the water quality declines, fish are more likely to succumb to fungal infections like cotton wool disease. 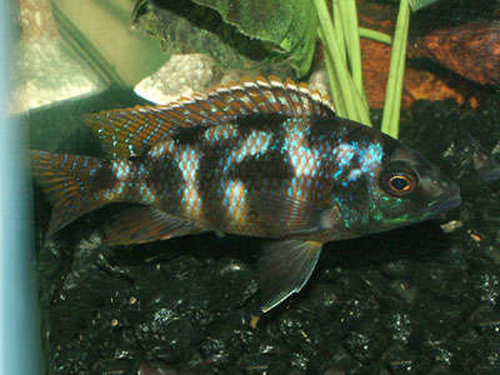 Stress and prior injury may also increase the susceptibility of cichlids to fungal infections. The most common treatment for this disease is an antifungal medication or a salt bath. Also called hexamita, hole in the head disease is fairly common among freshwater fish but is typically associated with cichlids. This disease typically presents in the form of a depression in the head accompanied by weight loss and loss of appetite. Affected fish may also develop lesions along the lateral line which will become larger over time, escalating to a systemic infection. The cause of this disease is widely debated but it is thought that poor water quality, mineral imbalance and the presence of a parasite called Hexamita may be contributing factors. Treating this disease can be tricky because there are multiple potential causes but it may be best to adopt a multi-faceted approach – first improve water quality and diet then treat the tank with an antibiotic to get rid of the Hexamita parasites. This disease is caused by a protozoan parasite called Ichthyophthirius multifiliis – the disease itself is called Ich, for short. Ich is fairly easy to identify because it manifests in the form of small white dots on the fins, gills and body of infected fish. Though these spots are the most obvious sign, other symptoms of the disease may include clamped fins, labored breathing, lethargy, loss of appetite and rubbing against tank objects. Ich is a highly infectious disease so, if you see white spots on one fish it is likely that the others in the tank have already been exposed. For this reason, it is typically better to treat the whole tank rather than quarantining the infected fish. Treatments for ich include salt baths, increased tank temperature, potassium permanganate, malachite green and acriflavine. This disease is caused by a parasitic flatworm which infects the gills of fish – hence the name of the disease. Once the parasite has been introduced to the fish, it will attack the gill membranes, causing them to redden and acquire a thick coat of slime. This slime makes it difficult for the fish to breathe, so you may see symptoms such as the fish gasping at the tank’s surface or rubbing its body against tank objects. Other symptoms of this disease may include fading color and labored breathing. The most common treatment for gill flukes is the addition of aquarium salt to the tank at a dosage of about 1 tbsp. per day accompanied by a slight increase in tank temperature. While you cannot completely prevent your cichlids from falling ill, you can equip yourself with knowledge of the conditions most likely to affect them. That way, when your fish do get sick, you will know what to do to remedy the situation. Keep in mind that your fish stand the best chance of survival and recovery when you take quick action to provide treatment. The longer your fish remain stressed, the sicker they are likely to become and the more difficult it will be to treat them. Your best bet is to separate the fish into a quarantine tank at the first sign of disease to avoid having it spread throughout the tank. At this point you can then observe the fish for additional symptoms and provide the right treatment to bring your fish back to optimal health.